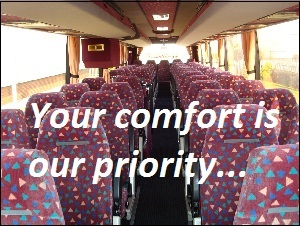 We can provide 8,16 & 24 seat minibuses, or for larger groups, 33 & 53+ seat coaches. We provide services to a variety of customers for all kinds of journeys and events. In fact, it’s highly unlikely that we haven’t provided services similar to your requirements. Our experienced staff, our range of vehicles, together with our flexible, friendly service mean that we can always offer a solution that fits with your needs. Examples of the types of services we provide can be found below. Whether it’s transport for your conference, off-site meeting, team-building event, airport transfer, inter-site shuttles or the office party, we know the needs of the corporate sector and can provide a flexible travel solution at a competitive price from 8 to 53 seater vehicles. Whether it’s a day trip, camping expedition or a multi-day tour, either locally, nationally or to Europe, our friendly and experienced team will make sure your trip is a safe, comfortable and enjoyable one. Let us take care of transporting you and your luggage. We’ll take you door to door and make all the necessary arrangements to ensure your mini-bus or coach is waiting for you on your return (even if your plane or boat are delayed!). Planning to see a show or a concert, or to watch your favourite team play away? Why don’t you and your friends travel in style. With the convenience of door to door transport and no need to worry about parking, you’ll be able to enjoy your event more (and often at a lower cost than public transport or taxi!). Organising a wedding or a party? Don’t let transport needs add to the stress! No matter how many guests, we can take care of all your transport requirements be it to/from the church and reception for weddings or to/from a big night out on the town. We’ll make sure your guests arrive safely and enjoy themselves on the way. We can provide and manage regular transport services for organisations of different sizes. Our services are competitively priced, and can also help reduce the environmental impact of many staff travelling independently. We are 100% committed to your needs. We know that plans can change and are flexible enough to respond. 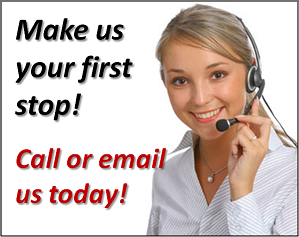 Even outside of office hours, we provide a 24 hour contact to ensure that someone is available should the need arise.